Alkaline phosphatase (ALP), sometimes called “alk phos” for short, is an enzyme naturally produced by our bodies. Everyone produces a baseline amount of this enzyme regardless of their state of health, gender, or age; however, certain tissues within the body produce alkaline phosphatase in higher amounts than others. The bones and liver are two parts of the body that can make a great deal of alkaline phosphatase. Because of this relationship, alkaline phosphatase can help your doctor determine whether or not your cancer has spread. How much alkaline phosphatase you have can be measured with a simple blood test. Prostate cancer, when it spreads beyond the prostate, usually moves to the bones. The bones of the pelvis and spine are some of the most common areas prostate cancer spreads to. When prostate cancer or another cancer moves to the bones, bone, and tissue in the cancerous areas break down and release increased levels of alkaline phosphatase into the bloodstream. 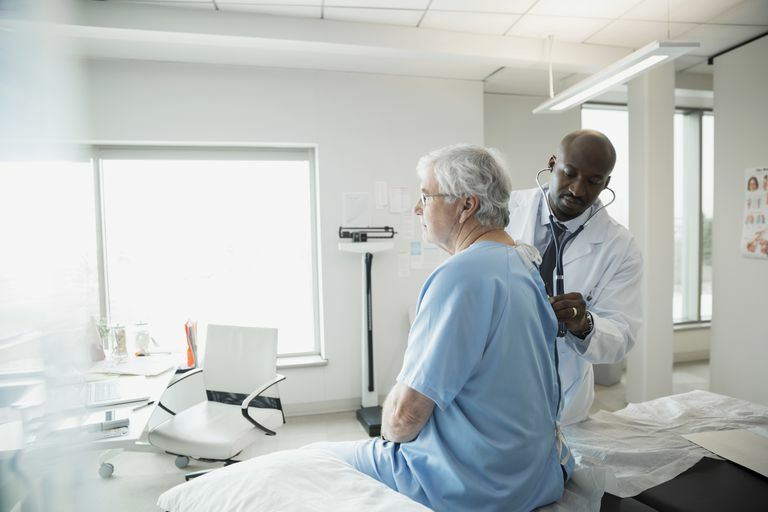 Measuring how much alkaline phosphatase is in your blood can, therefore, help your doctor determine whether or not prostate cancer has spread to the bones. An elevated level of alkaline phosphatase does not necessarily mean that your cancer has spread to your bones. There are numerous other causes of a high alkaline phosphatase, but in a man already diagnosed with prostate cancer, a rising alkaline phosphatase is a worrisome sign. A high alkaline phosphatase cannot tell your doctor that your prostate cancer has definitely spread to the bones. Bone scans, CT scans, and other diagnostic tests are needed for this. Your ALP will be checked through a standard blood draw. Your doctor will most likely ask you to fast before drawing your blood as ALP can be influenced by having eaten recently. Before having your blood drawn, let your doctor know which medications you are taking as some medications can cause fluctuations in your ALP level. Pregnancy can also affect your alkaline phosphatase level, however, this is not of concern if you are a man with prostate cancer. In addition to determining whether or not your cancer has metastasized, an abnormally high ALP can indicate gallbladder and liver problems such as hepatitis, cirrhosis, cholecystitis, or a blockage in your bile ducts. ALP can also help diagnose vitamin D deficiencies, infections, and other bone-related issues like Paget's disease and osteomalacia. Low alkaline phosphatase may indicate malnutrition or be a sign that your body isn't absorbing the nutrients it needs. Checking your ALP level can also help determine how medications and treatments are working or if a medication has the potential to negatively affect your liver. If you are concerned about an elevated ALP level, speak with your doctor and discuss your results. In most cases, further testing is needed to determine the cause of your elevated alkaline phosphatase level. Kumar: Robbins and Cotran: Pathologic Basis of Disease, 7th ed. Have You Ever Wondered How Radiation Therapy Works?